There are only three things in life you can count on: Death, taxes and CalPERS doing strange stuff with private equity. For the uninitiated: CalPERS is the California Public Employees' Retirement System, which is the country's largest public pension with around $350 billion in assets under management. Of that, around $25 billion is currently invested in private equity. Over the years, CalPERS management has treated its private equity strategy like a toddler treats a Netflix queue. Let's try this. No, let's try that. I don't even know what that is, but it sure looks cool. CalPERS Direct would be governed by a separate, independent board to advise on allocation and longer-term capital market perspectives. It would consist of two separate funds. One would focus on late-stage investments in technology, life sciences, and healthcare, and the other on long-term investments in established companies. These would operate alongside CalPERS' existing private equity structure that typically invests in co-mingled private equity funds. The comp is supposed to be Canada's big public pensions, which have spent the past decade building direct PE investing platforms and deemphasizing indirect investments with outside managers. But those Canadian systems generally maintain oversight rather than creating independent boards. Or, put more simply: CalPERS is creating an indirect model for direct investing, which seems to largely defeat the point. If a goal is to lower fees, it might be tough given that CalPERS Direct will pay "market rates" to its investment professionals (which also could create grumbles among those dozens of PE staffers still on the CalPERS payroll at below-market rates). If a goal is to put more money to work, this could be easily accomplished by reigniting commitments to third-party funds — something CalPERS used to do tons of but then slowed way down in the name of negotiating better deals and simplifying the portfolio. I bet SoftBank Vision Fund II could handle a big slug. Late-stage and Buffett-style strategies are the two hottest trends right now in private equity, which likely means it's a questionable time to launch new programs that won't be ready until the first half of 2019. In fact, CalPERS has a distressing private equity history of diving in near market tops and exiting near market bottoms (see: Capital, Venture). There was talk last fall about CalPERS outsourcing all or part of its private equity program to a firm like BlackRock. A spokesman tells me that such discussions are "not completely off the table, but on a separate track." Sounds like CalPERS wants a bit of wiggle room in case the new plan falters. Bottom line: It's certainly possible that CalPERS Direct will improve returns. But stronger odds are that it won't, and that CalPERS will again shift strategy before any of us — or its 1.9 million members — know the ultimate results of what is supposed to be a long-term play. Sony has agreed to acquire a 60.2% stake in EMI Music Publishing for approximately $2.3 billion from Mubadala Investment Co. Sony already held a 30% position in EMI. Why it's the BFD: Because this makes Sony the world's largest music publisher. Acquired assets: 2.3 million songs, including catalogs from artists like The Beatles, Queen, Sia and Kanye West. 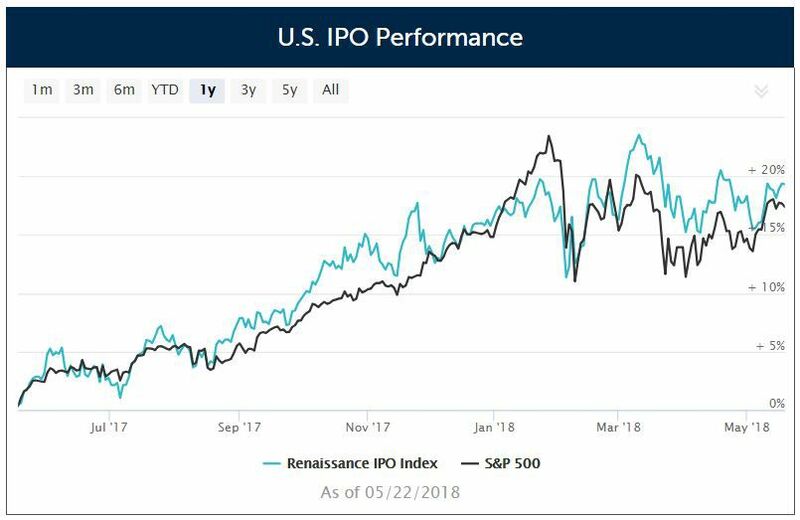 U.S. IPOs have outperformed the S&P 500 over the past 12 months and year-to-date. The S&P 500 has outperformed U.S. IPOs for 3-year and 5-year periods. Spotify shares closed yesterday at $150.22, which is higher than their $132 IPO price but below their first post-IPO trades of $160.90 on April 3.